With winds whistling through Cook Strait at up to 140km/h today our place reminded everyone why it’s called Windy Wellington. 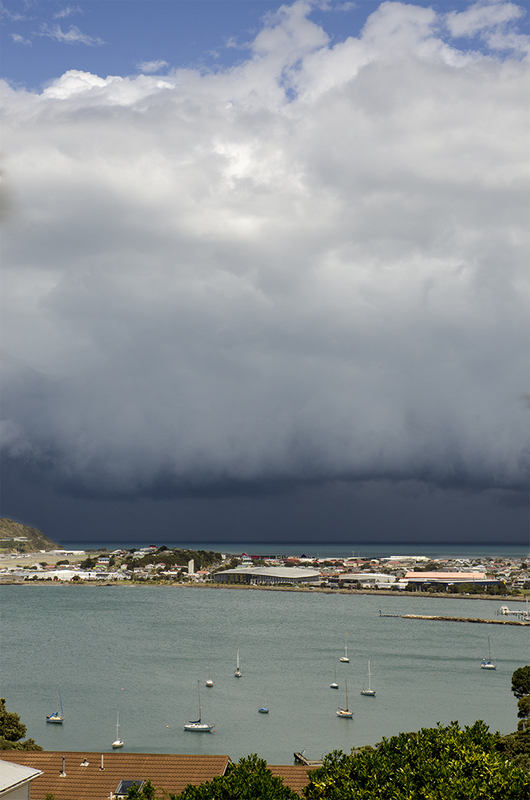 The normally peaceful view of small boats moored in the shelter of Evans Bay looked a little different today. Last week a sign was erected on the hills above Evans Bay. 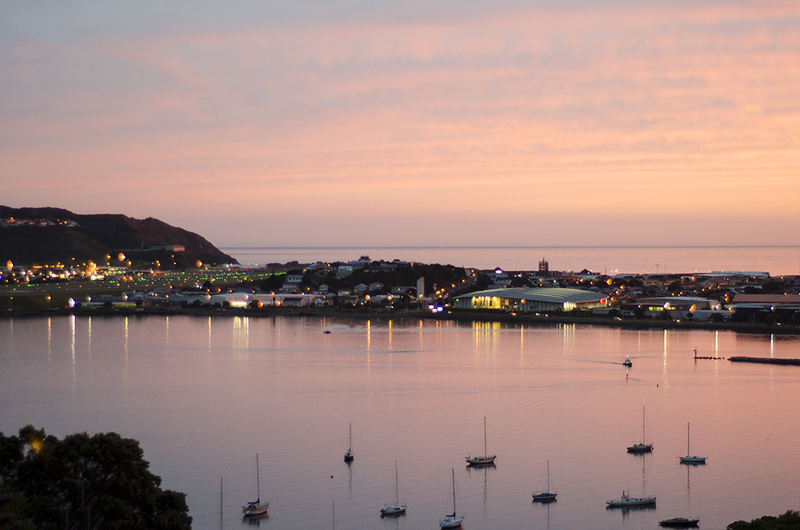 It has been the result of 2 years of local debate and controversy and has involved everything from a petition from the public through to the involvement of some of Wellington’s finest business and political minds. All to develop a sign to welcome those arriving by plane at Wellington airport. The sign says – wait for it – Wellington. This story began when Wellington Airport – which owned the site – decided to pay homage to Wellington’s fabulous film industry – you know, Peter Jackson, The Lord of the Rings, Weta Digital, Stone Street Studios and now the two, sorry, three Hobbit movies – by erecting a copy of the famous “Hollywood” sign on the hill overlooking the harbour which would say “Wellywood”. I’m not sure where this piece of creative genius came from but it’s fair to say everyone, except the airport company, thought it was naff, silly and, lets be honest, a bit “try hard”. The airport company stuck to their guns, the sign was going up, end of story. But after protests, hours of angry talk-back calls, comment from many distinguished Wellingtonians, and the aforementioned petition, they backed down. A committee of prominent locals was set up to oversee a contest. Anyone who wanted to, could submit a design and the best one would be selected to go up. 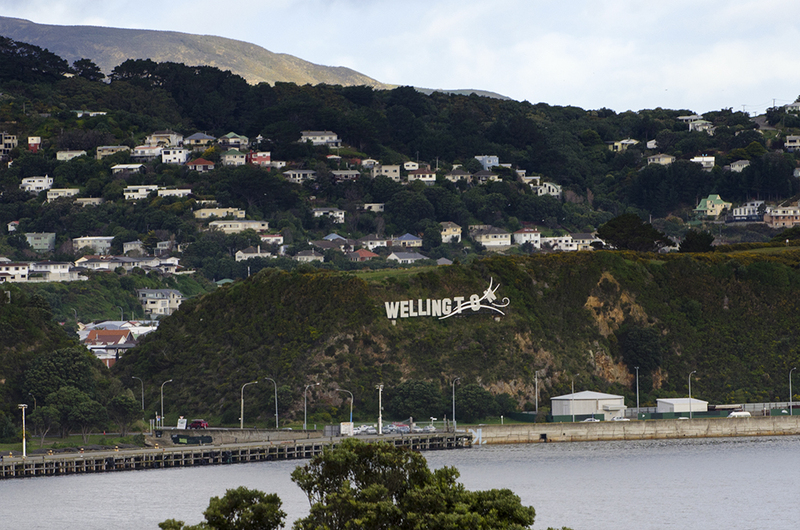 It turned out that the best was a “Wellington” sign being blown away. An idea that came from an Auckland advertising agency. Yikes.